Wondem Foundation is committed to multiple projects in Mezezo in Ethiopia in the areas education, clean water and help for women. You can support us financially via the Donate button and/or also to help us as a volunteer. 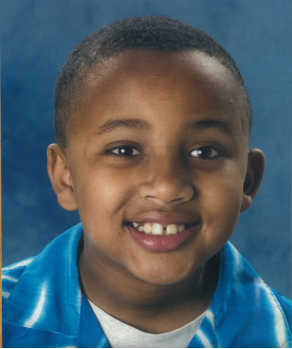 We, Tefera and Etetu Zerfu, have established Wondem Foundation in 2010 in memory of our son Wondem, who passed away at the age of 12 by a medical error in the AMC in Amsterdam. 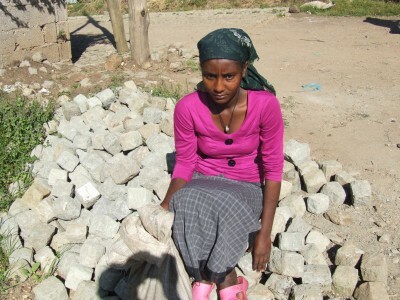 Wondem has been five times in Ethiopia. When he was visiting, he was very sad of the poverty around him. He saw poor children without food or clothing, and immediately wanted to give his own clothes and shoes away. He did this and then he asked: “Dad, how can I make money for these children?” He asked this question almost daily. 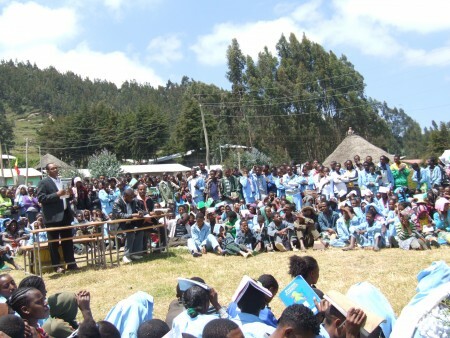 In 2005 Wondem became a member of the foundation Progress for Integrated Community Development Organization (PICDO). This is a foundation in Addis Ababa for children with HIV/AIDS. The whole family of Wondem sent money every month to this foundation. His great desire was to give a better future to the poorest children in Ethiopia. Through Wondem Foundation we are striving to realize the dream of Wondem. With your money we can continue our work in Ethiopia for a better living environment, completely in line with Wondem’s wish. Wondem Foundation is primarily committed to improving education by building school libraries. 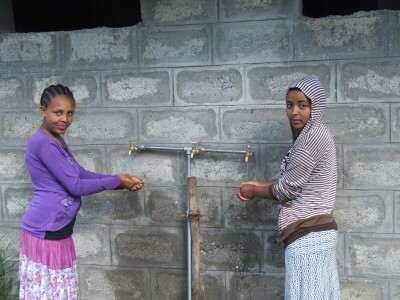 Wondem Foundation has built water wells in Mezezo and Kobastil to provide access to clean drinking water for everybody. Wondem Foundation helps women with education, sanitary towels and a way to earn money. Mezezo is a small city with 8,000 inhabitants, located in the countryside 193 km northeast of Addis Ababa, the capital of the African country Ethiopia. Mezezo is in a bad social and economic state. That is why Wondem Foundation financially supports education and water supply. Wondem Foundation is looking for volunteers. Are you good at fundraising, can you take care of print or do you want to dedicate yourself to Wondem Foundation? Please contact Wondem Foundation. Thank you very much in advance.